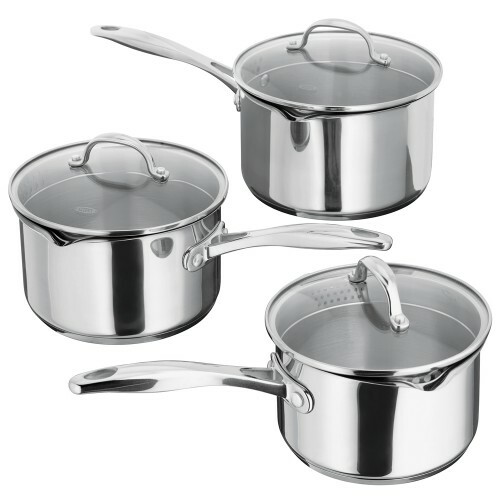 The Stellar 7000 Stainless Steel 3 Piece Drainng Saucepan Set are made from premium stainless steel with cast handles. 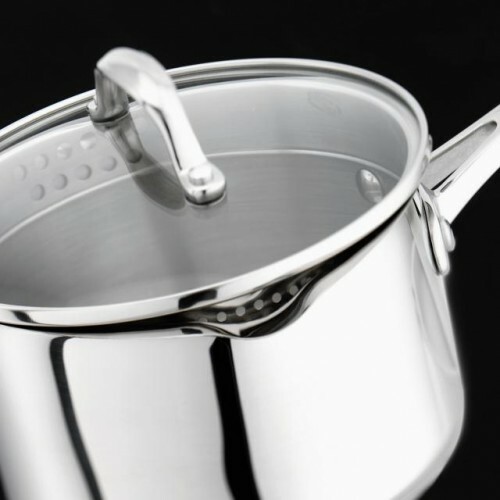 The saucepans come with useful internal measuring guides and have double sided straining lids - variable draining and steam release options. 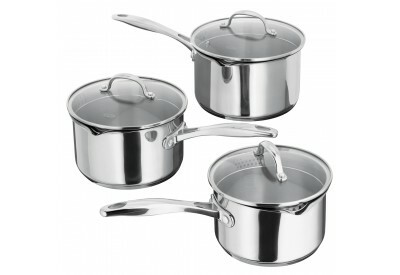 The pans thick 'hot forged' bases ensure even heat distribution and are suitable for ALL hob types, including induction. Each item is thorughly trialed and tested to ensure optimal perfomance and ease of use, in addition to being a pleasure to use every day. 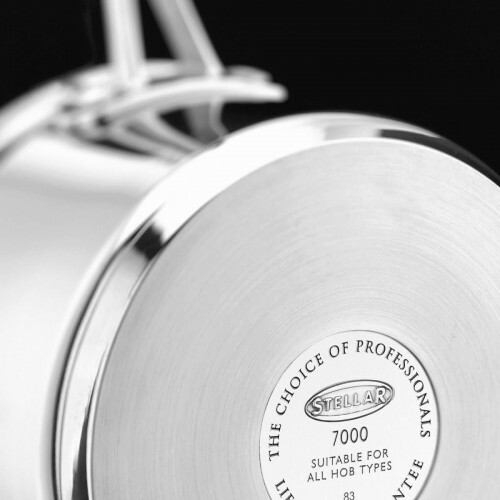 Premier grade 18/10 stainless steel (18% Chrome and 10% Nickel) is used throughout for optimum hardness and stain resistance.